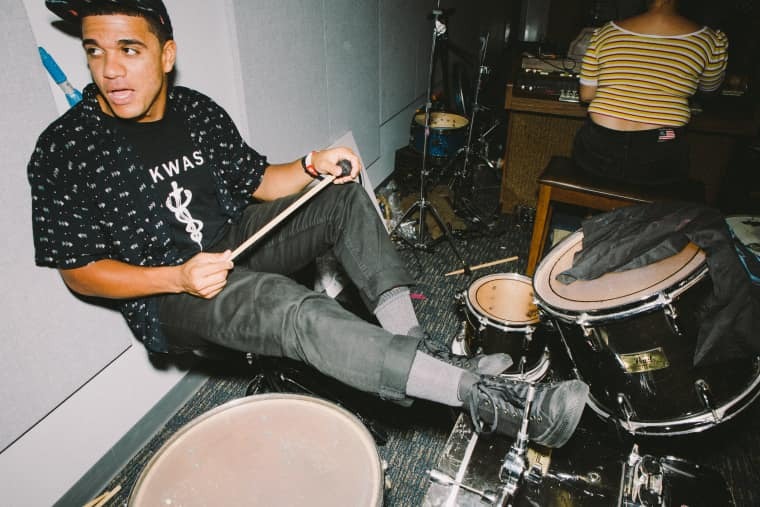 Norlan Olivo, the 24-year-old drummer of the radical punk collective Downtown Boys, taught himself to play drums by searching “punk rock beats” on YouTube and practicing with the Rock Band video game. 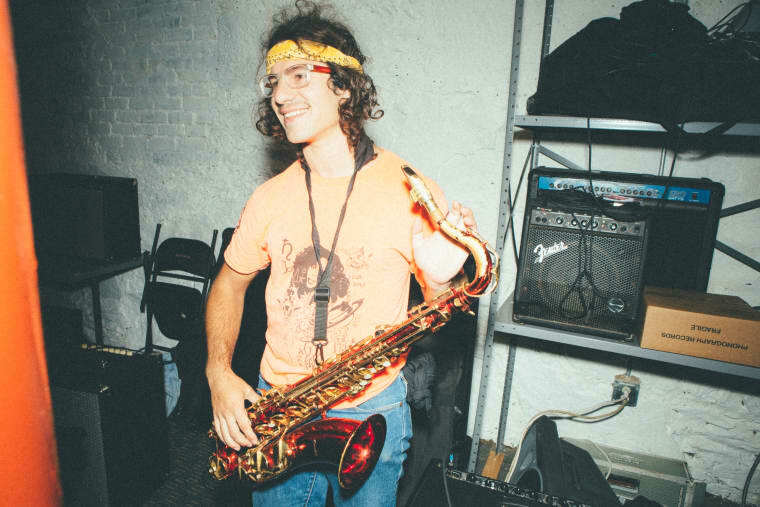 “Now, he’s always on expert mode,” said Joe DeGeorge, the group’s saxophone player, 29, on a sweltering August afternoon. 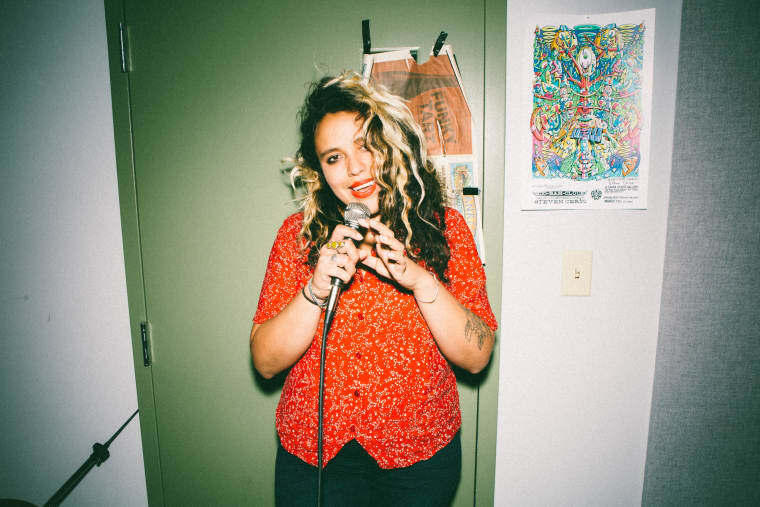 When we met up, the whole band — DeGeorge, Olivo, plus guitarist/vocalist Joey La Neve DeFrancesco, 28, vocalist Victoria Ruiz, 29, and bass player Mary Regalado, 27 — was lounging around Olivo’s airy apartment in downtown Providence, Rhode Island, where thorny succulents perched on windowsills and antique cameras lined the shelves. 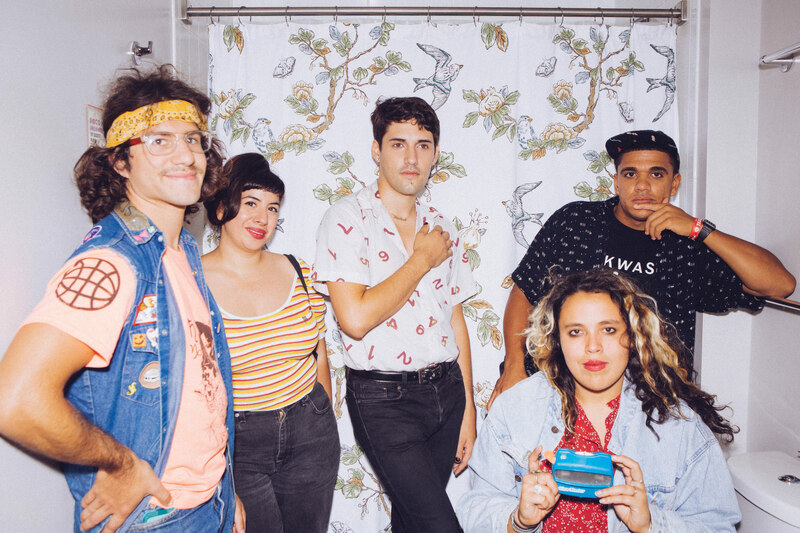 Downtown Boys are a band with a lot on their minds. 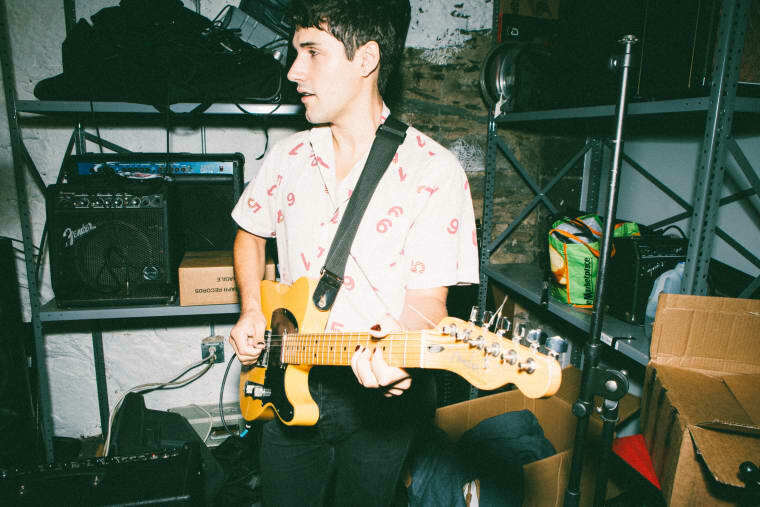 On last year’s Full Communism, their second full-length album, they confronted immigration law, the surveillance state, police brutality, and white hegemony — all within the confines of brief, noisy rock songs designed for seething, dancing, or both. At their concerts, Olivo has been known to dive into the crowd, battering a single drum while the audience hoists him high. The combination of discordant riffs, nimble rhythms, powerhouse horns, and Ruiz and DeFrancesco’s electric, bilingual vocals — the band sings and screams in English and Spanish — is potent, like a shot of liquor straight to the gut. Why is it that we never have enough with what’s inside of us? Ruiz asks on “Monstro,” her voice crackling with frustration. Originally from San Jose, California, Ruiz moved to New England six years ago after hearing murmurs that Providence was an affordable city with ample opportunities in both social justice and the arts. Later, she met DeFrancesco while en route to a protest in Boston. He grew up in Connecticut and knew Olivo from What Cheer? Brigade, Providence’s resident activist brass band, of which they both were members. 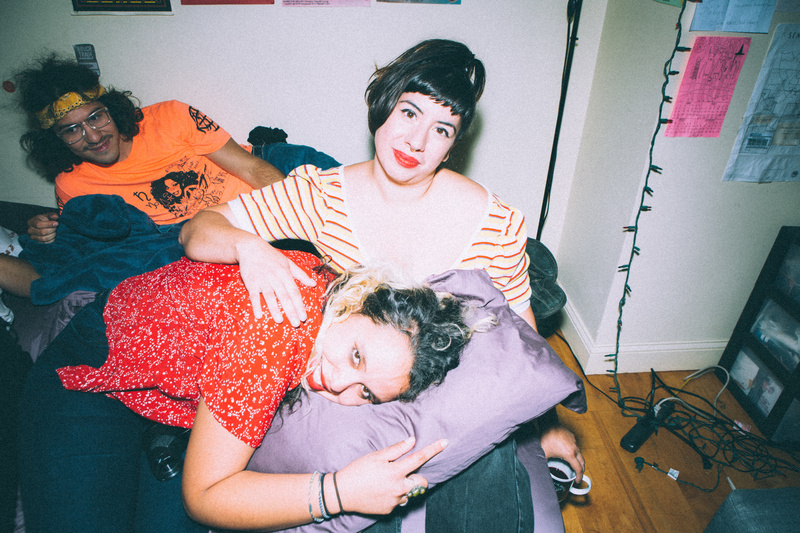 Regalado, who also performs with the punk bands Neonates and Gauche, met the rest of Downtown Boys at the now-shuttered Providence DIY performance space, Spark City, then relocated from D.C. to join the band. “There’s a lot of opportunities in Providence for artists, especially for young people and young people of color,” Olivo said, naming organizations like New Urban Arts, a free creative space that offers year-round courses where high school kids can study sewing, music, and darkroom photography. Both he and DeGeorge live in artist residency housing provided by the local organization AS220.